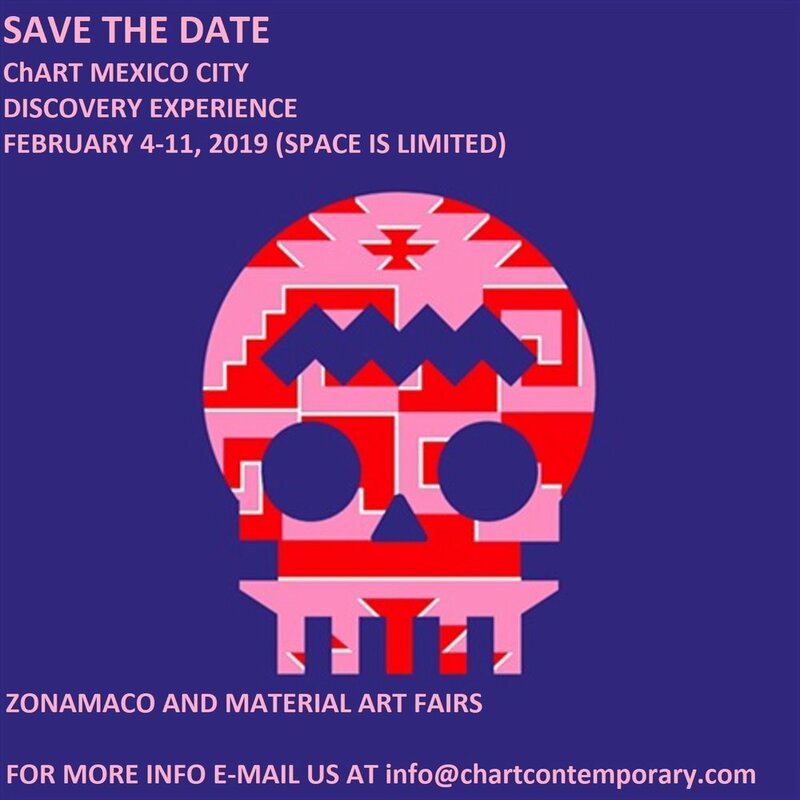 Join ChART Contemporary Consulting on an exclusive discovery experience in Mexico City during the ZonaMaco and Material Art Fairs in 2019. During this all-inclusive experience, we will delve into Latin American culture and food and discover emerging artists from one of the hottest art markets in the world! E-mail us at info@chartcontemporary.com for more information and details.